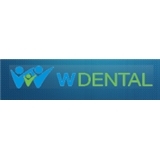 W Dental (Dallas) - Book Appointment Online! Everyone was very polite, kind, welcoming, and helpful! I had a good experience. My dental hygienist, Rachel, had great bedside manner. Dr. Wang was very helpful, knowledgeable, and also had great bedside manner. Overall a great experience! Will come again!